Location: Opposite entrance to Hills Street. 1885; by James Milo Griffith, sculptor. 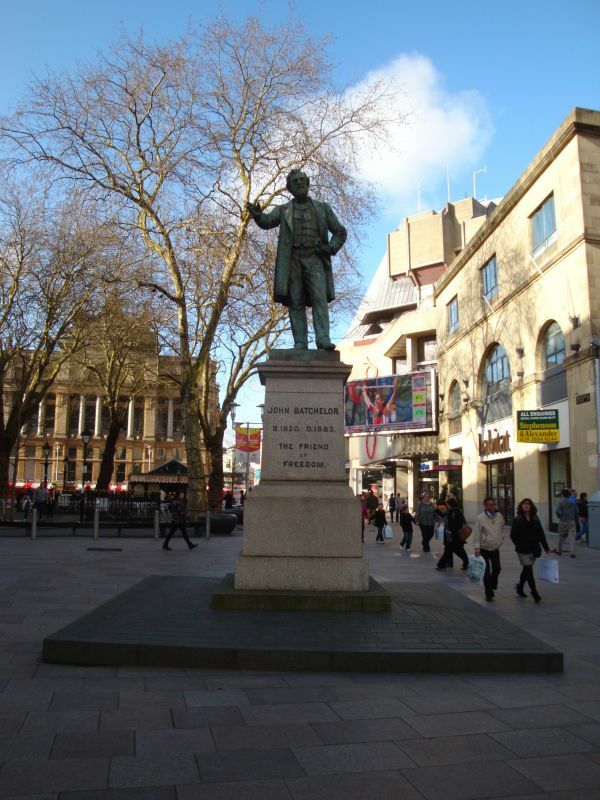 John Batchelor, 1820-1883, radical politician; mayor of Cardiff, 1853. He established new sewerage system to combat cholera. The statue enraged his political opponents who compiled a petition of 12,000 names for its removal. Standing bronze figure on stone pedestal. In contemporary dress, L leg forward, indicating with R arm. Pedestal inscribed "The Friend of Freedom". Fine example of Victorian public sculpture on prominent site.